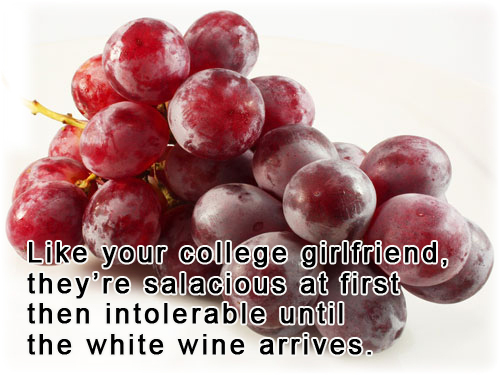 So those grapes that seemed so delicious and friendly because of that sale rack on which they so leisurely reclined? Yeah, over several days the entire bag has gone into just about every room in the house with the best of intentions and I cannot live this lie any longer. Time for a crumble. Slice the grapes in half but not the blueberries. Put in a cold pan with corn starch mixed into water and white sugar (I have not opened this bag of sugar in nearly a year you guys), add wine and bring to a low boil on M. Reduce heat to ML and stir until thick. 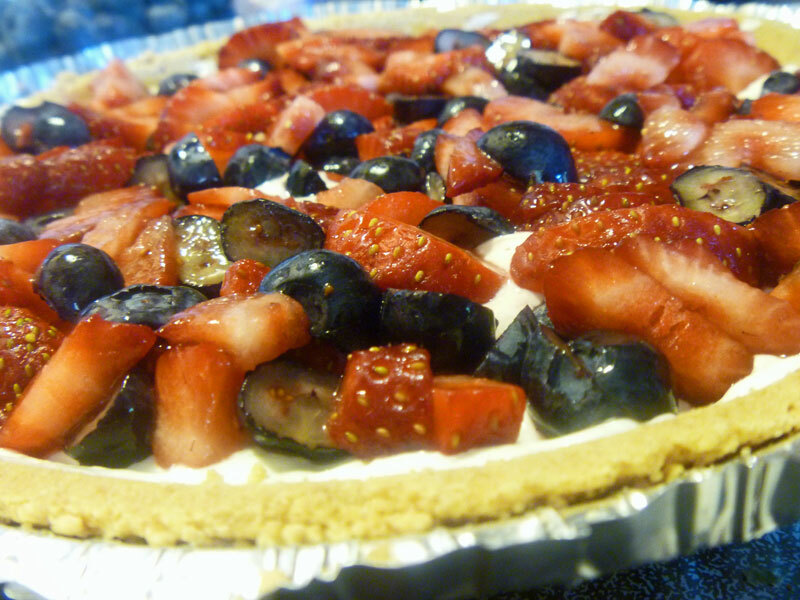 Mash together the last four ingredients above to make the topping and dollop on the grapes/blueberries; bake in a 350° oven for 25-30m and serve some hot then serve some cold — 4 spoons! Chop kale, remove stems and blanch for 10 seconds; drain. In the food processor, put all ingredients and blend until at your preferred consistency. 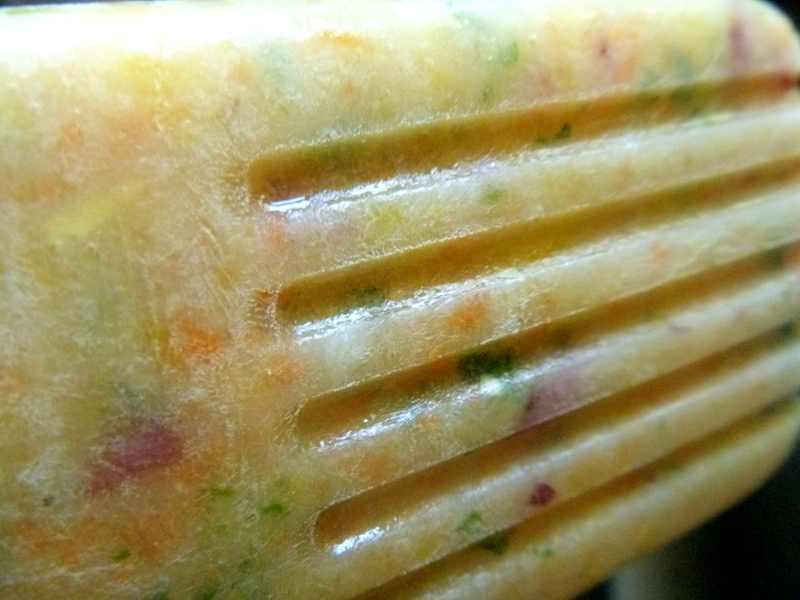 Fill popsicle molds with the delicious nutrition and freeze ’til NOM. 4 spoons! 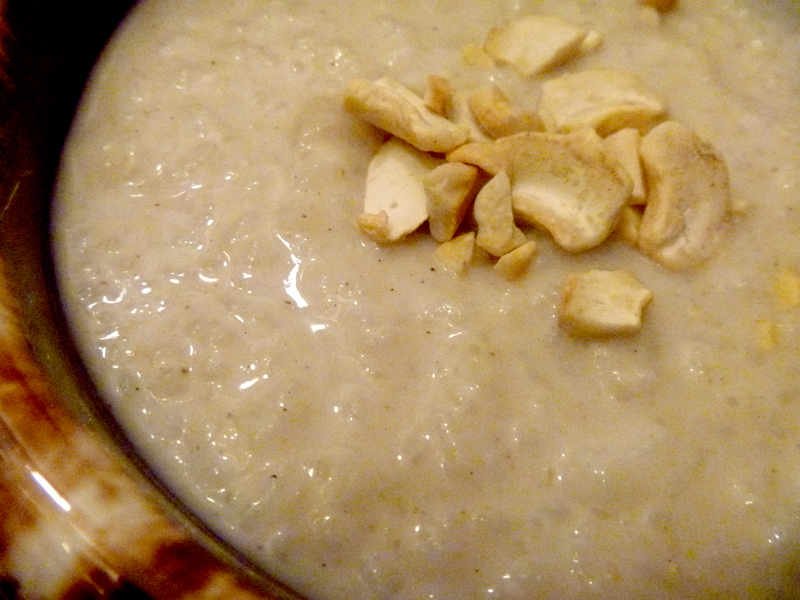 This rice pudding is inspired by Indian rice pudding, but I have no intentions of calling it such — I used what I had, and it turned out pretty tasty! Melt butter in the bottom of a medium sauce pot. Stir together: 2 c almond milk, sugar, cardamom and rice. Pour mixture into pot and bring to a boil on M. Let continue to on ML for about 20-30 m. Once it begins to thicken, add last cup of almond milk and continue stirring while it comes back to a boil on M. Reduce heat back to ML and let continue to boil for another 20-30m. Stir in coconut milk and let continue to cook on ML for 10-20m. Refrigerate pot contents and serve warm or when chilled. I prefer chilled, as that is how most area Indian restaurants serve theirs… but as this isn’t a proper, respectful derivation I cannot judge you. 4 spoons!